America, have you quickly forgotten our Forefathers? They taught us the meaning of being sisters and brothers. 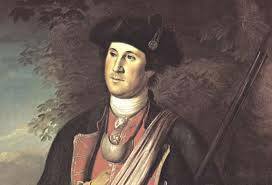 Let’s start with our first American President George Washington who led us to victory. Who showed us how to care about others! He’s the one that wrote the US Constitution. Understanding that there were restrictions. He handed down a legacy of strength, integrity and national purpose. George Washington was a man of faith and principles. He became and American President that would eventually become invincible. He became the first American President that fought for Liberty and justice for all. He gave us the US Constitution, so America would never fall. Now, what I see happening to America is inconceivable. Because there are people in America that don’t understand what our Constitution stands for. I will defend my Forefathers’ and what they stood for.